BONN, Germany – The government of Syria, familiar to lesser informed western and liberal audiences as the ‘Assad Regime’, just signed the ostensibly eco-friendly Paris Agreement in Bonn at the United Nations climate summit. The Syrian delegate announced this today at the summit, where countries have met to discuss implementation. The goal of the Paris Agreement is to work to keep temperatures from rising by the otherwise projected two degrees Celsius. The temperature on earth, though debated within the scientific community, is projected to rise by two degrees Celsius by the end of the century unless preventative measures are met. In the clip below, the US state department spokesperson appears to attempt to deride or mock Syria’s decision tojoin the agreement. 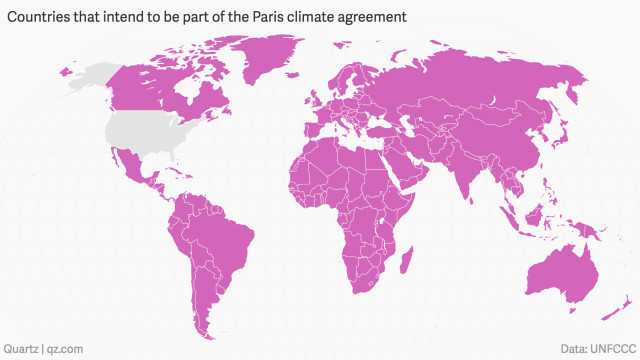 Now the US is the only country to have not signed the Paris Agreement. Experts generally now agree that this spokesperson’s tenure will be shorter than that of the Syrian government led by Assad. This has come to be known as the ‘Assad must-go Curse‘ in popular culture. While this is certainly a good PR move for the democratically elected government of Syria, headed by President Bashar al-Assad, it is unclear what the ramifications will be. It certainly will, in some small way, split US and EU opinion over the question of Syria, and paints Syria in a more positive light. Center-left and social-democratic parties and movements in the EU generally view the Paris Agreement positively, in fact the more ‘green’ wings consider the agreement absolutely critical – even saying it doesn’t go far enough. Because these same center-left and social-democratic parties and movements are also very significant in lending a high degree of left-cover for the imperialist-driven assault on Syrian people, today’s announcement will help to weaken the resolve of these parties providing left-cover. This is a political question that bears weight outside of the actual scientific debate surrounding the question of anthropogenic climate change. All experts agree that the climate is changing, as it always has over the 4.5 billion year existence of planet Earth: questions surround the matter of the role of industrialization in contributing to that, and by what factor. 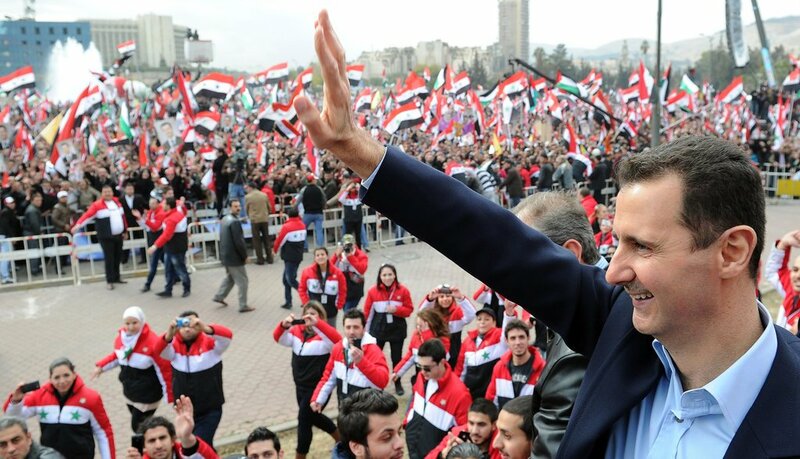 That Syrian representatives were able to make the journey is itself an accomplishment: The US has led an Atlanticist-centric campaign to alienate the legitimate, legal government of Syria. These are based on unfounded and vague accusations of ‘human rights abuses’ that are furthermore technically outside of the US’s jurisdiction to enforce, given that there are no UN-SC resolutions holding Syria responsible, and also that Syria is not one of the US’s 50 states. In lieu of that, the US has placed the Syrian government and people under what it likes to phrase as ‘sanctions’ – a legalistic sounding term meant to lend it the color of something related to international law, when in fact it is just a unilaterally enforced change in trade agreements that any country, like the US, can withdraw from. The US has flexed its muscle in the EU to get member states to join in this unilateral change in trade terms.